As a result of the destitute youth and vulnerable children in the area of Zwide, Port Elizabeth, Mrs Gimani Ntete, locally known as “Mamma Gibbs” was inspired to do something to address the various problems in the area. Sisonke Sophumelela - “together we will conquer” - has lived up to its name by supporting local children and youth on a mental, physical and emotional level. Lead by Mamma Gibbs, the children are taught important life skills and morals that can see them through into adulthood. Weekly support groups at local schools. Motivation and support to children in the development of their talents. Bi-Weekly soup kitchen that feeds 110 people at a time. Soup is made from fresh vegetables from their own organic garden. Recycling Buyback Centre – community members bring in their recyclables and earn credits. 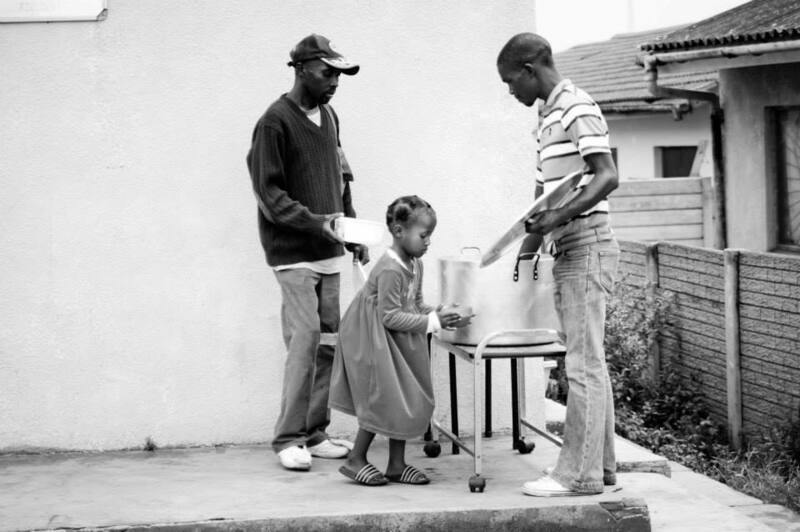 Recently, Sisonke decided to “open up shop” to the community members, where they can spend the credits that they have earned by bringing in their recyclables. The shop sells all sorts of donated goodies, of which clothing is the main commodity. This initiative is supported by Bernie Dolley from Ikhala Trust, who believes that in order to uplift, one must empower people to be self-sustainable.